Gabor Gombos is monitoring and protecting the rights of psychiatric patients while reforming the Hungarian mental health system. He trains consumers, survivors, and former users of psychiatric case to be democratic agents for change. He also educates doctors on patient-centered care. While the incidence of psychiatric illness in Hungary is high, the quality of care is low. There are approximately 100thousand people living with schizophrenia and another 100 thousand battling depression. Over 7000 of these people live in the country’s fifty–three psychiatric institutions. Primarily located in small, secluded towns, these care facilities were originally created to hide the problem of psychiatric illness and have continued to go unmonitored. Therefore, patient rights have been denied in many different ways. 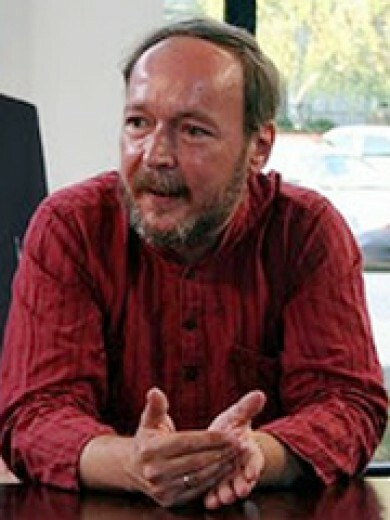 Between 1993 and 1999, Gábor had established 20 groups throughout the country involving 300 patients. Additionally, he organized the Psychiatric Interest Defense Forum that has gained the respect of policy–makers and secured representation in the National Healthcare Council. Besides supporting several international initiatives, Gábor has already succeeded in changing certain paragraphs in the Hungarian Social Law about guardianship. Gábor has founded the Psychiatric Interest Forum designed to incubate and network consumer organizations, patient councils and patient support groups. These consumer–run groups conduct site visits at different social care facilities, document human rights violations, and publicly share their findings. Gábor works to improve the lives of mentally disabled people either living in psychiatric institutions or at home. He has designed the support groups to help and encourage people to live more active lives, to know and understand their civil rights and to become involved in their communities. Brought up by a mother who battled severe depression, Gabor had several revealing glimpses into the Hungarian social care system at an early age. Years later his mother was put under the care of the National Institute of Psychiatry. During this time, Gabor witnessed how his mother was stigmatized, robbed of any rights and treated inhumanely. After her death, Gabor discovered significant evidence that her passing was due to negligence on the part of the mental care system. It is this injustice that fuels Gabor’s dedication to protecting the rights of psychiatric patients.